Home › Electronics › Selfie Stick Foldable Extendable Bluetooth Selfie Stick With Built-In Remote ..
Selfie Stick Foldable Extendable Bluetooth Selfie Stick With Built-In Remote .. 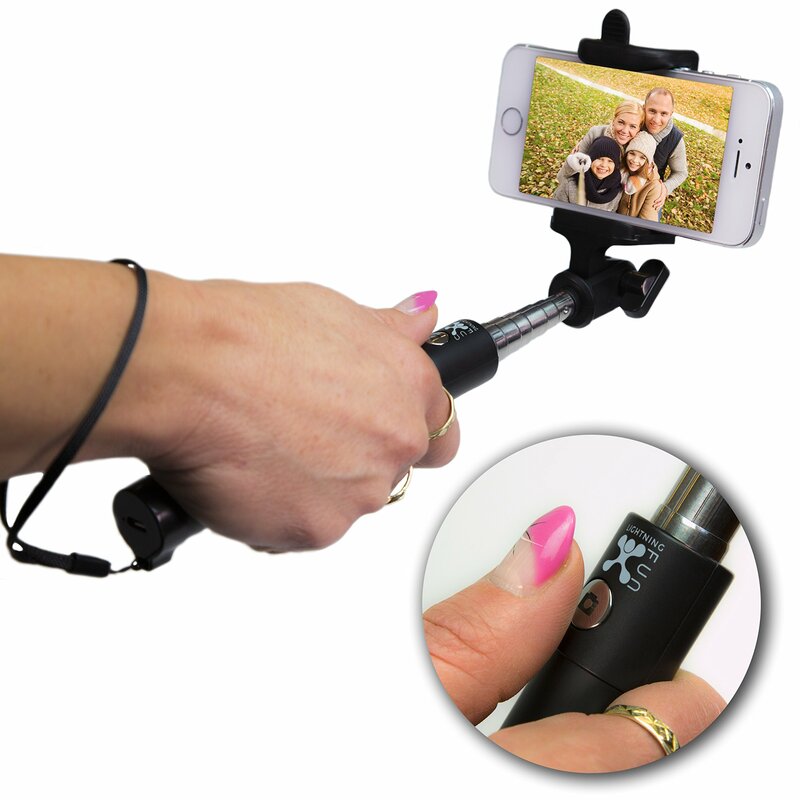 THE BEST SELFIE STICK FOR IPHONE AND ANDROID: Bluetooth selfie stick with robust construction. SIMPLE TO USE: Just turn on the selfie stick and pair it with your phone via Bluetooth. Reliable with iPhone, Samsung Galaxy and many other Android phones. POCKET SIZE ORIGINAL SELFIE STICK: Lightning Fun brand certified = Top-brand Bluetooth accessories for smartphones. This Bluetooth selfie stick is constructed upon the highest quality standards. BLUETOOTH SELFIE STICK: This Wireless selfie stick comes with an EXCLUSIVE BONUS eBook called "8 Secrets For The Perfect Selfie". Also, we really trust our product - and that is why this selfie monopod comes with a 90-day no questions asked money back guarantee. Click Add to cart and get your best selfie stick now. ONE OF THE MOST POPULAR SELFIE STICKS: Extendable selfie stick stretches from 7.6 to 34 inches. Adjustable head allows for 270 degrees to achieve the best angle to take a prefect selfie photos and videos. All in one piece.